Now with organic cinnamon to support optimal blood sugar regulation. When asked to recommend a quality protein powder, I typically encourage people to get their protein mainly from nutrient-rich plant foods that are naturally abundant in protein - dark green vegetables and legumes like chickpeas and lentils are excellent choices for most of us. 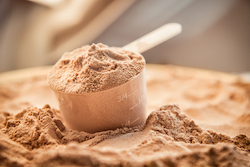 Many commercially available protein powder products contain heavily processed protein isolates made from whey, casein, soy, or eggs - these protein isolates are usually exposed to high temperatures that lead to structural changes in the protein that make their usefulness to human health questionable. With that said, there are some good reasons for taking a quality protein powder, the main one being that a high grade protein powder is easily absorbed into your bloodstream, which ensures that your body is nourished with all of the amino acids that it needs to be at its best - amino acids are the building blocks that provide structure to every cell in your body. Keep all of your major organ systems - including your immune, nervous, endocrine, cardiovascular, respiratory, and digestive systems - functioning at a high level. Over the years, I've experimented with a number of different sources of protein powder, and the three that I have found to be best for promoting all of the above are organic hemp, organic non-GMO sprouted brown rice, and organic pea protein, which serve as the primary ingredients in our organic, 100% plant protein blend. It also includes organic flaxseed powder and organic chia seed powder for their valuable amino acids, fatty acids, and fiber. Organic turmeric powder is included for its anti-inflammatory properties, as well as its ability to improve liver function, which can only help with protein utilization. Organic aloe vera is also an important component of this organic protein blend for its ability to support digestive and immune system health, and also to improve cellular communication and protect cellular DNA from oxidative damage. I also included just enough organic steva leaf powder and vanilla bean powder to please most palates without making this blend overpoweringly sweet. 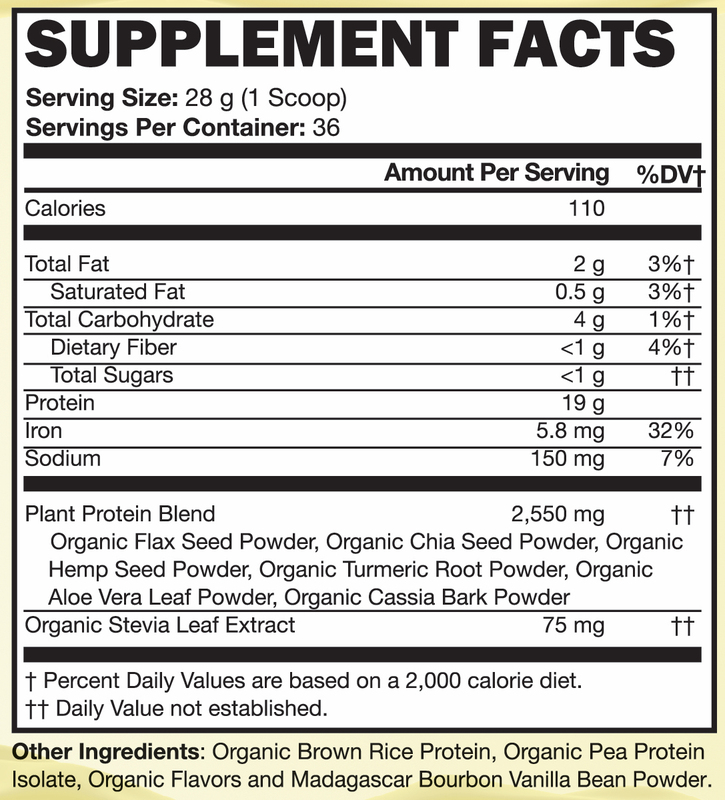 There are approximately 36 servings of quality organic protein per jar. To put it simply, this unique blend of nutrient-rich organic food ingredients delivers highly absorbable and truly healthy protein to fuel, build, and maintain all of your organ systems. I suggest adding one scoop to your favourite smoothie recipe and enjoy this as a post-workout drink, a mid-day pick-me-up, or even as a meal replacement drink - a number of clients are thriving on a routine of having this for breakfast and lunch to fuel their day, and then a regular meal for dinner, which is a sustainable way of getting and staying lean while maintaining healthy muscle mass. Our Organic Protein Blend comes in a food grade, re-usable container - a whopping 1000 grams (1 kg) of highly absorbable protein and adjunctive nutrients for those who want to best support optimal physical health. 100% organic, raw, and free of fillers and preservatives. I love this product- it makes me lose weight and have more energy, and its Organic. Thank you Again Dr. Kim. And I also thank your customer service- they get back to me quickly and are very kind to speak to. I have used this protein powder for years now. I was so relieved to find it in the first place as all of the commercial and even specialty brands that I'd purchased before were cloyingly sweet and then had so many ingredients I did not want. I have one daily for breakfast and blend in frozen berries, chia seeds, coconut milk, cacao powder and Dr. Ben's Organ Greens powder. When I was out of it for a few weeks over the summer, I could tell that my joints ached and I didn't have the energy that I'd been having. Within two days of starting these smoothies again, all the benefits returned! This is the first protein supplement that I have tried that actually tastes like real food instead of something made out of cardboard. I make it just the way that Dr. Kim recommends with frozen banana chunks, almond milk, and almond butter. I have been drinking two a day, one for my morning meal and one with dinner and have lost 25 pounds in about 3 and a half months. Loving it! We've been adding this to our morning smoothie with frozen banana chunks, peanut butter, almond milk, and your greens. It's a satisfying breakfast in a tall glass, a fabulous way to start the day. My husband has also been having it in the evening after his workout, he says it's enough to replenish his muscles without putting extra pounds on his mid section. Thanks!! I ordered the vanilla and it is the best protein powder I've ever tried! My husband and I are vegan and we LOVE it! Dr. Kim's simple smoothie recipe on the bottle is spot on and delicious! The vanilla is velvety and lends a "comfort" food feel. For additional fiber, omega 3 EFAs and vitamins I add raw bee pollen and ground sprouted flax to these smoothies. Great product and well worth the price! Thank you, Dr. Kim, for another outstanding product. 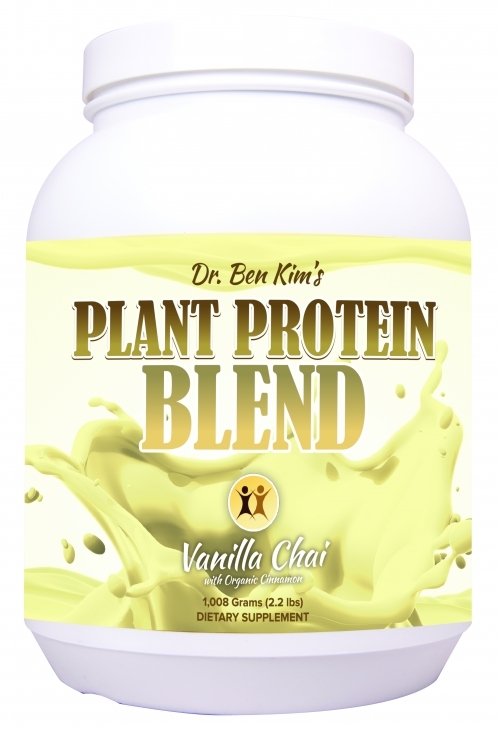 I love this plant protein blend because there are absolutely no fillers, "natural flavors," questionable sugars, or other controversial ingredients which are found in most other protein powders. 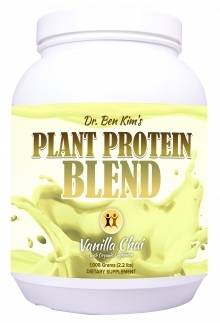 This product is 100% plant based, as are all of Dr. Kim's products. I have been using his products for years and will continue. This is the latest in my regimen and I use it most every morning for my protein source in smoothie bowls. This is best protein powder hands down. I only wish Dr Ben Kim would also offer us a regular version without the vanilla for making seasonings. I have been using this powder for some months now. It is the easiest, yummiest way to get fibre, minerals & protein into my body during a busy day or when good food is just not ready in my fridge (which can be quite often). I love adding a banana, oat/hemp milk & a spoon of organic almond or peanut butter. I need something nutritional & steady like this many mornings. It means that I am not required to think about how to do it! I know I am starting my day off in a great way. Thankyou Dr.Kim for producing such a good product. We buy both chocolate and vanilla. We use the chocolate for smoothies (recipe on the container) and the vanilla to make almond butter rice crisp protein bars for a school or after-school snack. My daughters LOVE this powder, and I'm happy to have this soy-free, dairy-free option. Thank you!